An area of recently discovered peatland in South America needs to protected from the region’s burgeoning palm oil sector if it is to avoid “environmental disaster”, according to a new study. The peatland in Pastaza-Marañón Foreland Basin in northeast Peru – discovered in 2009 by Finnish scientist Outi Lähteenoja – is said to contain 3.14 gigatons of carbon, roughly equivalent to two years of CO2 emissions from the United States. Scientists have said that economic development in the region, like road-building and the arrival of commercial agriculture threatens the important ecosystem. Palm oil is already expanding rapidly in Latin America. The industry’s sustainability watchdog, the Roundtable on Sustainable Palm Oil (RSPO), said in 2015 that 6% of the world’s palm oil comes from the region. The researchers note that while commercial agriculture is yet to expand into the Pastaza-Marañón Foreland Basin peatlands, rice paddies and plantations have begun encroaching on wetlands in other parts of the country. At the same time, palm oil plantations have also been developed in the country. Just south of the Pastaza-Marañón Foreland Basin in the Ucayali Region in east Peru, more than 9,400 hectares (ha) of forest has been cleared for oil palm plantation since 2011, according to the conservation group Monitoring of the Andean Amazon Project (MAAP). The most immediate threat to the peatland comes from infrastructure projects, like road building, as Ian Lawson, a lecturer in geography and sustainable development St Andrews University and one of the authors of the research, explained. “The development of commercial agriculture and transport infrastructure are conspiring to make remote areas in Peru more accessible to world markets,” he told Unearthed. Tim Baker, an associate professor of geography, at Leeds University, who has spent years studying the Peruvian rainforest, agreed. “One of the threats is the interest in connecting this region with the rest of Peru, through transport links,” he said. Peatlands are bogs made up of carbon-rich, decomposed plant material, or peat. When healthy, they act as carbon sinks, reducing carbon in the atmosphere through plant growth. But agricultural development can cause peatlands to dry out, causing them to gradually release carbon into the atmosphere and become more susceptible to forest fires. Palm oil can be especially destructive to peatland, with the plantations leading to the land being drained and falling into rapid decay. In Indonesia, a country famous for its tropical peatlands, Harvard University researchers estimated that over 90,000 people suffered premature deaths in devastating forest fires in 2015 which were linked to the rapid expansion of palm oil and other intensive agriculture in the country. To prevent future fires the Indonesian government recently introduced new restrictions on developing on peatland. 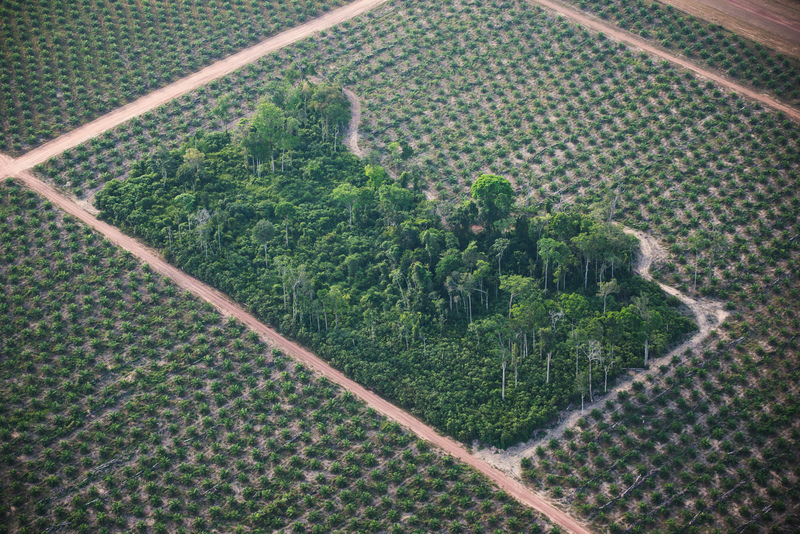 Currently, the vast majority of the world’s palm oil comes from Southeast Asia, specifically Malaysia and Indonesia. But as the industry continues to expand, companies have been looking to move into South America and Africa. The recent discovery of a massive area of peatland, thought to be the size of England in the Congo Basin, added to conservation calls in central Africa. Now, all sides of the palm oil debate are making noises about learning the lessons from Southeast Asia, and cultivating the commodity in a more sustainable way. Baker is keen to talk the opportunity in Peru, as well as the threats. “The exciting thing about Peru is that we’ve got a little time. We can do something now. We can put in place land use designations and develop sustainable management practises that will buffer the region from these threats,” he said.